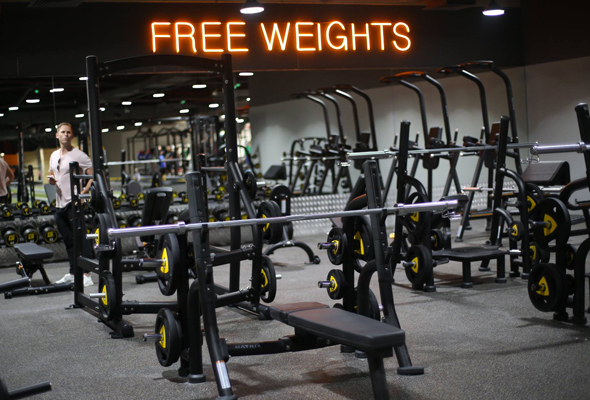 It’s one of the largest gyms in the city, with membership priced from under Dhs200 per month, but how do the facilities measure up? 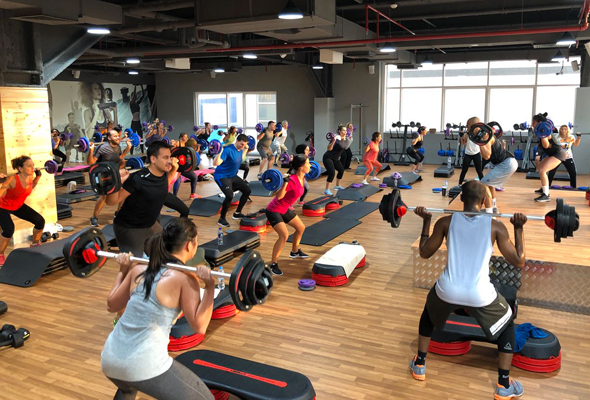 Dubai’s fitness industry is constantly evolving with the latest workouts from around the world and homegrown fitness studios popping up across the city. But when some of them can set you back in excess of an eye-watering Dhs3000 per month, it can be expensive keeping fit in Dubai. Step forward a trend of affordable, homegrown gyms and fitness studios, which are here to bring fun, affordable workouts to the masses. One such example is GymNation. 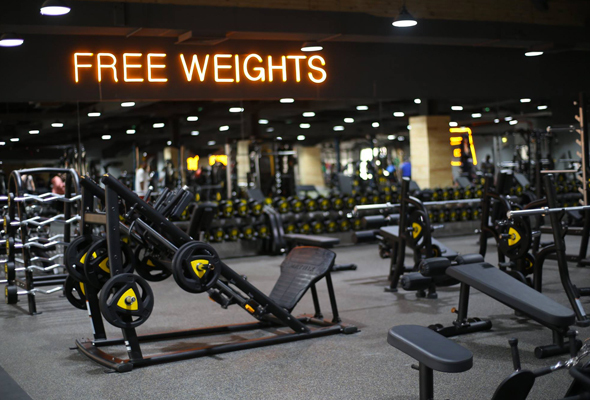 Found in Al Quoz, the self-described ‘The People’s Gym’ is a massive 45,000 square foot fitness facility, making it one of Dubai’s largest gyms, promising 24-hour access to an array of the latest equipment, weights, virtual classes, group classes and personal training sessions. It’s home to an impressive 500 pieces of cardio and strength equipment, an array weights up to 60kg, and more than 200 virtual and studio-based classes, meaning that whether you’re a gym bunny or beginner, you’ll find your feet. As well as the main gym hall, filled with long lines of treadmills, bikes and rowing machines, there’s a dedicated strength equipment training area, weight training space, three studios (including one spin studio), personal training section cornered off for small group and one-to-one training and even a boxing ring, something the gym focuses heavily on. It’s an impressive set-up, and means there’s plenty to get stuck into. The personal training areas and boxing ring are for booked sessions only, but you’re welcome to use the rest of the gym as you wish, and there’s more than enough equipment to go around. It has a friendly feel in the gym, so if you don’t know how to use something, there are always instructors on hand to quickly show you. 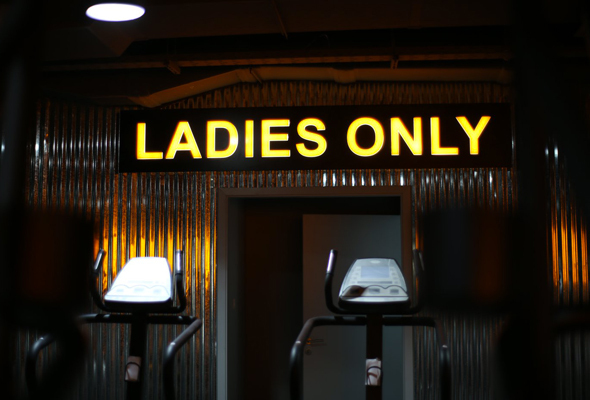 There’s also a ladies’ only-gym, which is small, but has the basic array of equipment and is a great place to train if you find the main gym hall intimidating. Both spaces can get busy during peak post-work hours, and you may have a short wait for a treadmill, but there’s a constant flow of people meaning you’re never waiting too long. The changing rooms are large and facilities are adequate with enough lockers to go around – although you will need to bring shower gels and your own hairdryer and styling tools with you, as these aren’t provided. Vending machines serve cold water, towels and padlocks for getting you set up, or on the days you forget your own. The majority of Gym Nation classes are virtual classes, which take place in the virtual class studio. Smaller and darker than the main studio, classes are mostly virtual versions of Gym Nation’s studio classes such as Virtual BodyBalance, Virtual Bodypump, and Virtual SHBAM. Like a normal class, you’ll need to prep your equipment – whether it’s just a mat or weights too and then follow along to the class, led by a virtual instructor on the big screen. If you’re already experienced, these classes are a brilliant way to work up a sweat in a smaller group, but if you find you need more motivation (like we do! ), classes where you can follow along to an instructor who can give you guidance, regular classes will probably be more suitable for you. GymNation offers around a dozen different classes, which are mostly positioned for before or after the regular working day, so members can fit them handily into their day to day life. As well as the popular, 30-minute Les Mills workouts, spin classes, zumba and yoga classes, they offer their signature BodyPump, Body Attack, BodyBalance and JumpNation several times per week with unlimited access to all included in the Dhs199 per month fee. HIIT Nation, Muay Thai, BoxiQ and BoxNation can be booked separately at an additional charge. So fun is JumpNation, that it doesn’t even feel like exercise. A combination of floor and trampoline-based exercising, you burn a whole load of calories as you jump away to the music. But make no mistake, it’s a solid workout – burning more calories than traditional exercise thanks to teacher Kate Austin creating fun, fast-paced routines that have the whole class bouncing in sync. Ideal for those looking to get lean while toning and improving fitness levels, BodyPump uses an array of light to medium weights and plenty of repetition to burn more than 500 calories in a 45-minute class. Each set of exercises focuses on a different muscle group, and you’ll work your way from your legs to your shoulders. The instructors rather than shouting at you, are there to motivate you, with each class cleverly designed to pumping hits. While Les Mills spin classes are short, high-intensity bursts, RPM is a longer 60-minute cycle where you control the intensity. Dramatically lit in UV, these are bigger classes designed for up to 60. 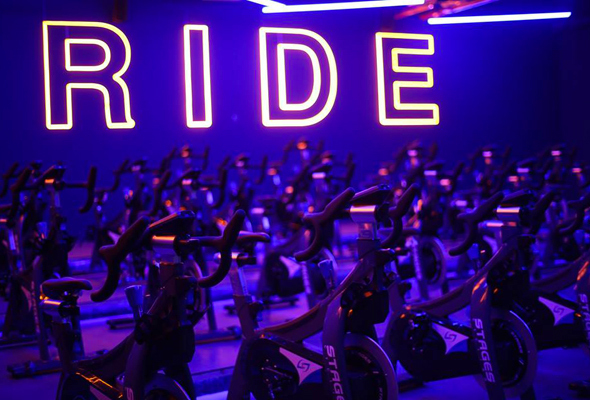 The music is loud, instructors are energetic and you’ll easily reach your cardio peak – burning up to 700 calories per session – if you cycle hard. Lead by Fitness Manager Elliot Bendelow, HIIT Nation is a high-intensity, 45-minute class that combines high intensity interval training (HIIT), with circuit training. Classes never exceed more than groups of 16, and are typically smaller groups of 8 to 10, which means that it’s like getting a personal training session – at a fraction of the cost. Elliot tailors the class each time to focusing on different muscles and areas, with each class designed to push you that little bit further to achieving your goals. HIIT classes are priced at Dhs500 for 13 sessions. Designed for everyone for beginners up to those training professional, BOXIQ classes are heald in the dedicated ‘Combat Zone’, which comes with 10 boxing bags and a 16 foot boxing ring. As well as learning key boxing skills and techniques, the hour-long classes teach discipline and patience. Oh, and lots of skipping. BOXiQ is Dhs399 for unlimited monthly; Muay Thai is AED 500 for unlimited monthly. GymNation has more than a dozen personal trainers on hand, whether you’re training to be a boxer or bodybuilder, or just looking to shift some excess weight. Headed up by fitness manager Elliot Bendelow, you’ll first have a consultation to talk through your fitness experience, as well as your goals for the sessions. Each session is 45 minutes to an hour long, and is personally tailored to your capabilities and what you’re looking to achieve. Elliot will also provide you with a diet plan, and will check in to ensure you’re getting the most from your gym sessions outside of your personal training. In the sessions, you get the perfect balance of being pushed to your fitness goal, and patience when taking on a new weight, exercise set or x. Personal training classes start from Dhs200 to Dhs250 per session.